I love sandpaper drawings! I'm always happy to get them. They are also known as marble dust paintings. Marble dust was mixed with the chalk causing these pieces to sparkle when light hits them a certain way. This was a popular medium for amateur artists in the mid 19th century. This drawing is 8" x 11" and nicely done. 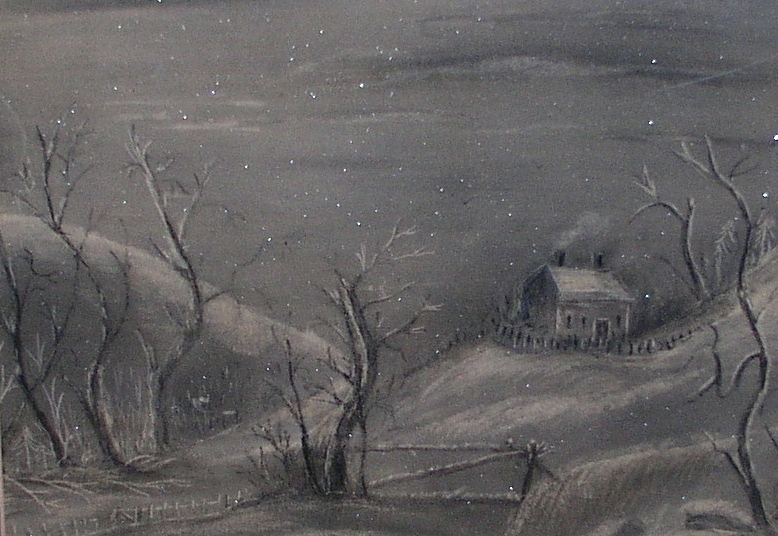 Depicted is a small early home on a starry night. 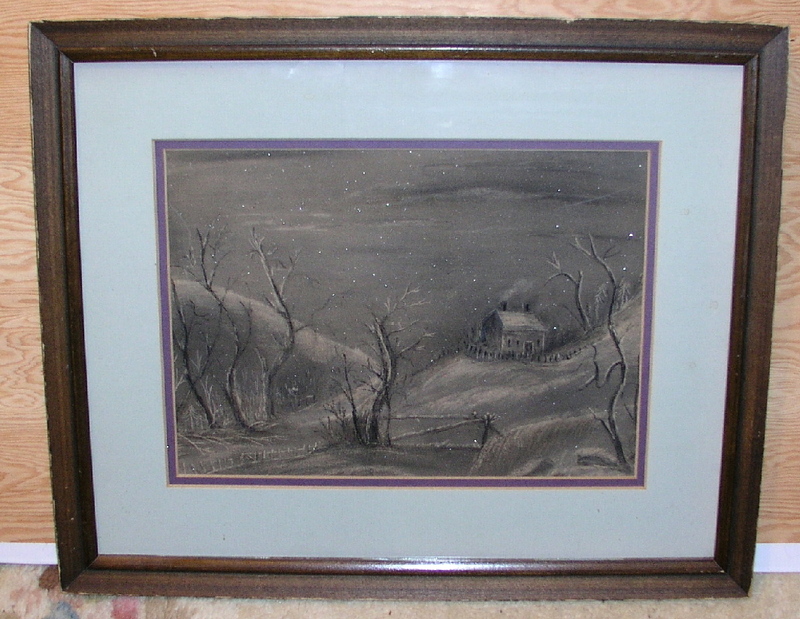 The drawing is housed in an older frame, mounted professionally. Frame size 14" x 16 1/2" Circa 1870. A wonderful, evocative piece.